This is an original ad removed from a 1951 vintage magazine. 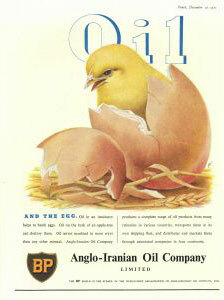 Oil and the Egg. BP Anglo - Iranian Oil Company Limited.